Purchasing the perfect backup camera system can often be a bit of a challenge for the first time buyer given the amount of options available. It is important to remember that these various options should be seen as a good thing, as they provide a fully customizable system that can fit your needs best, if you know what to look for. 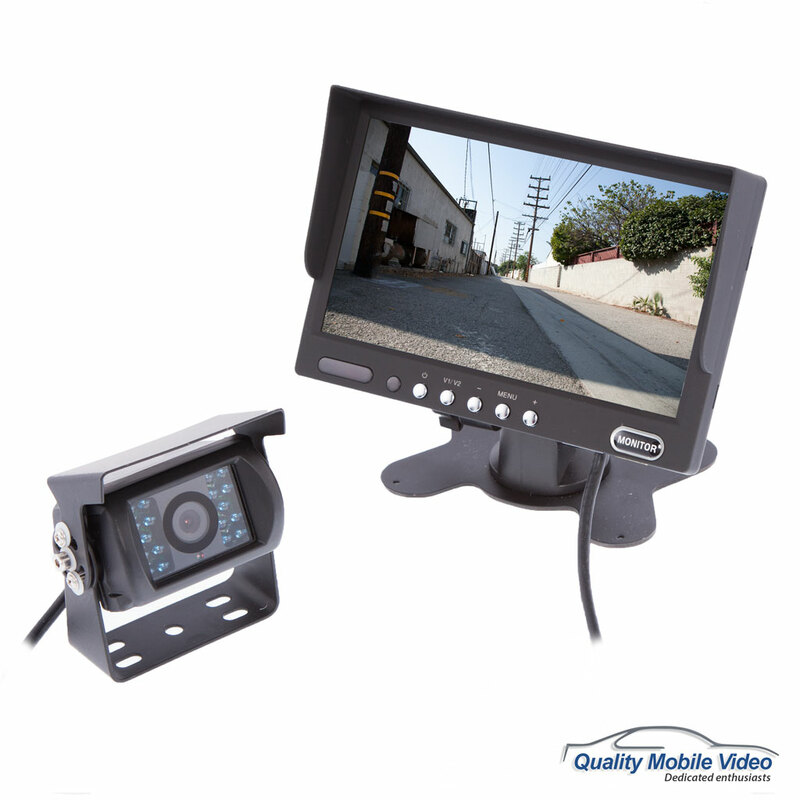 Camera Type: The backup camera type determines how the backup camera will mount to the rear of your vehicle. The most popular camera types are flush mount cameras, license plate cameras and surface mount cameras. All our cameras come with 18-25 feet of video cable to connect to the monitor. Key Camera Features: The camera features are really where you can get the most bang for your buck and the category more than likely to dictate pricing. The key features to look for in a backup camera system are viewing angle, CCD camera lens, reverse/ non reverse, infrared lighting, park assist lines and wireless backup camera systems. 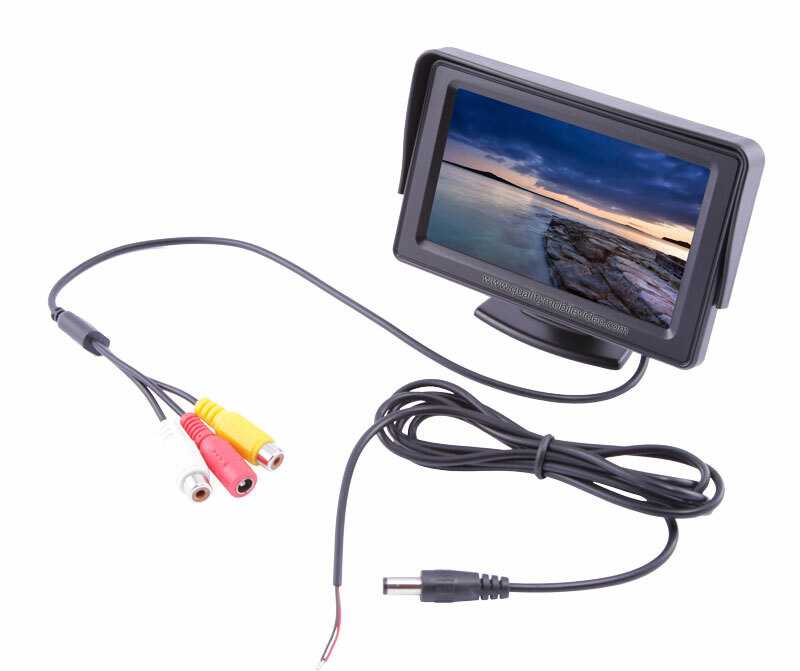 Universal Monitor: A universal monitor is the most common type of backup monitor as it easily mounts on top of the dash of any vehicle. These monitors are most commonly sized from a 3.5 inch through 7 inch screen as anything smaller is hard to see and anything bigger becomes distracting and bulky. 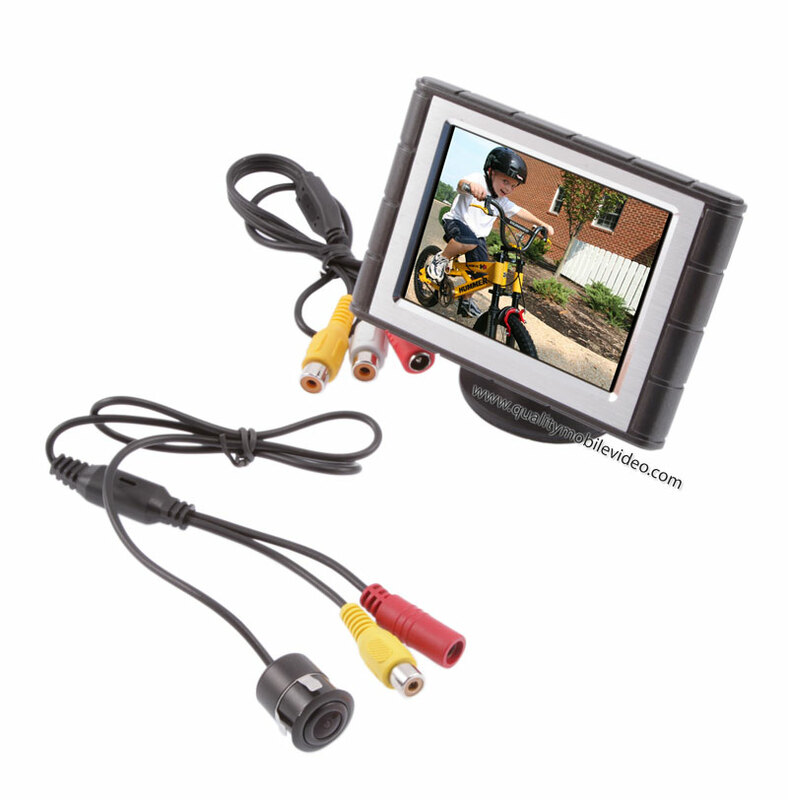 These monitors come with a mount that can be bolted down to the top of the dash but can easily be mounted to a windshield as well with a universal windshield mount. 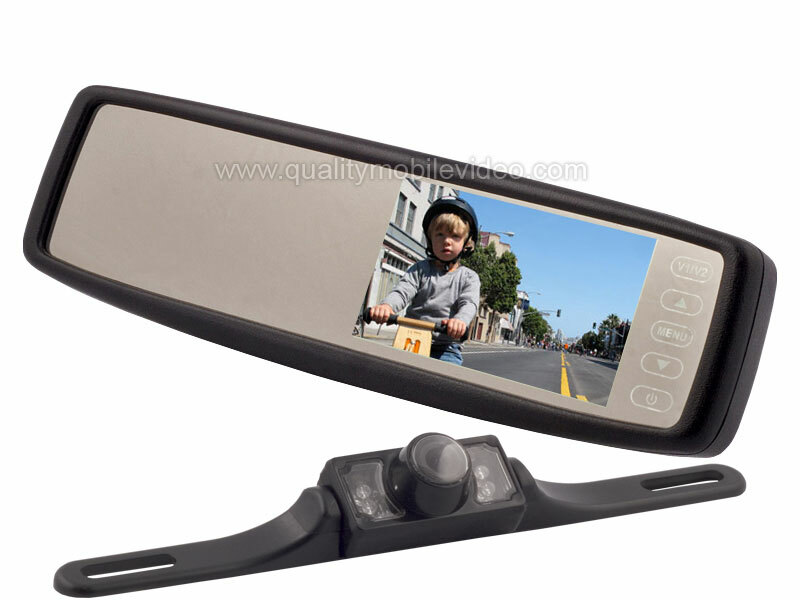 Rear View Mirror Monitor: A rear view mirror monitor will either clip on to your existing rear view mirror or replace it all together. 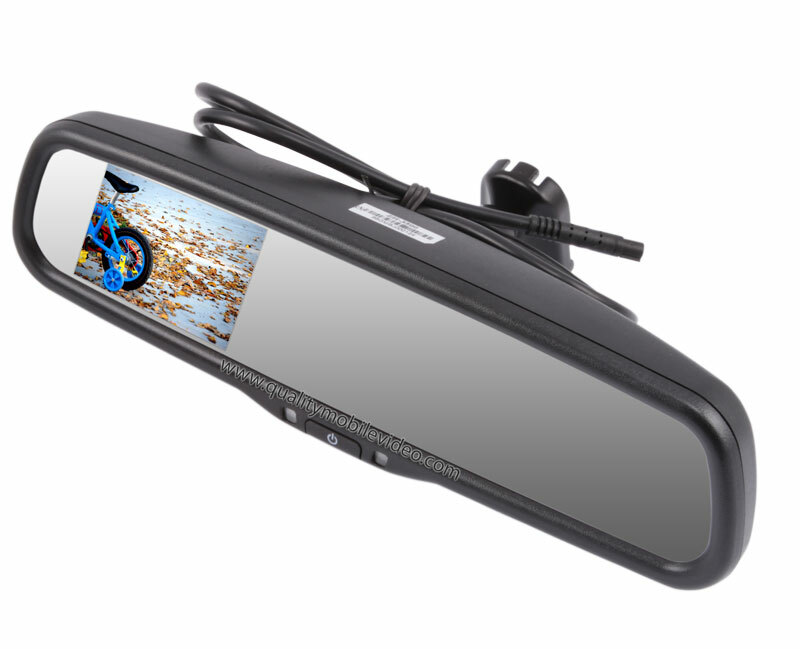 An entry level monitor will virtually have no reflective properties and can not be used as a standard rear view mirror when not in use. 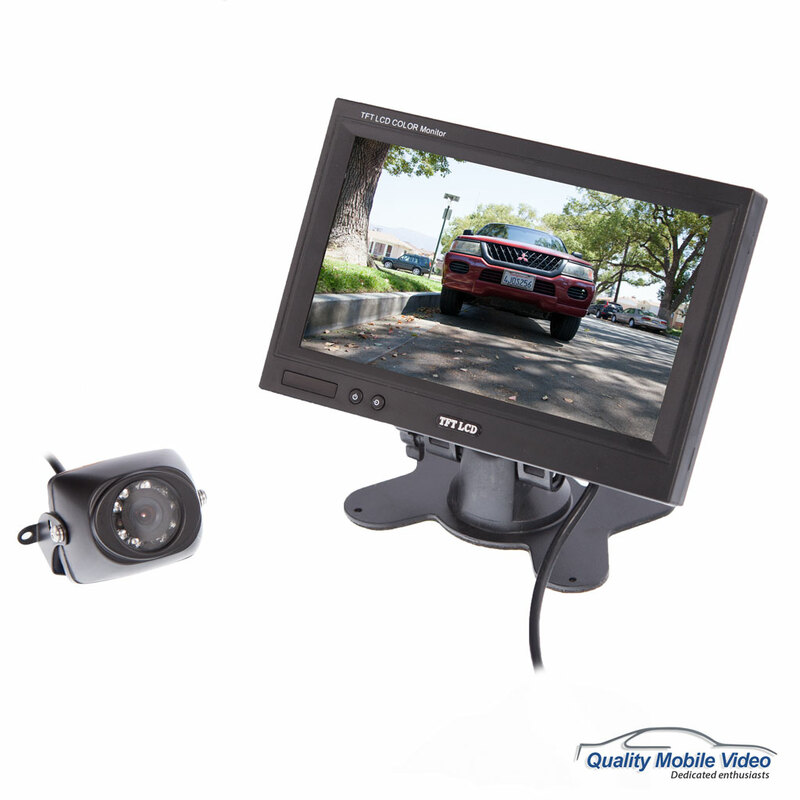 A higher end monitor on the other hand will have a designated 3.5 inch or 4.3 inch screen for when the backup camera is in use while still maintaining a reflective surface that can be used as a standard mirror when not in use. A replacement rear view mirror is often recommended for higher end vehicles as it provides a clean finish with a well designed OEM look and feel without the need for an additional monitor that will sit in plain sight. Sun Visor Monitor: If you do not wish to have a stand alone monitor sitting on top of the dash as it hinders a clean look and replacing a rear view mirror will mean forgoing standard equipment such as Onstar or Sync, another viable option is going with sun visor monitors. 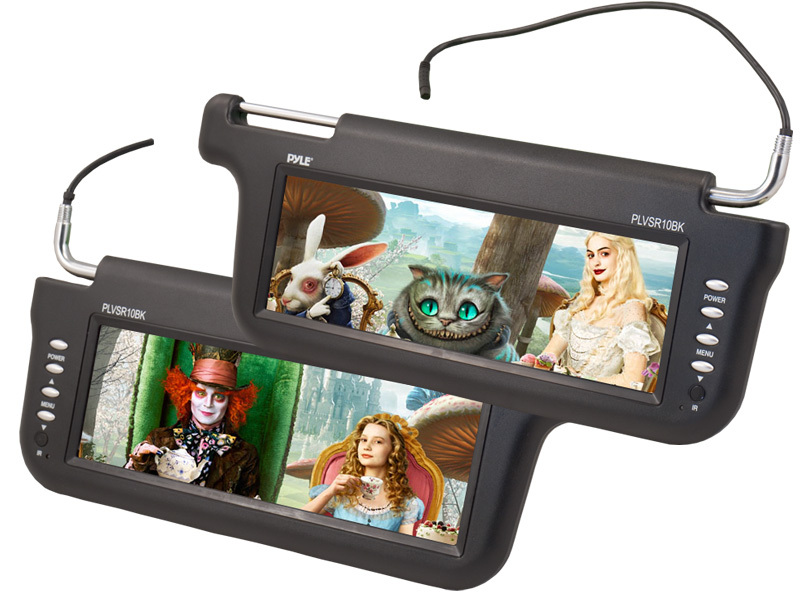 These sun visor monitors are universal and fit virtually any vehicle. They typically come in three generic colors; black, gray and tan to seamlessly match your interior. OEM Factory in Dash Monitor: If your vehicle already has an in dash LCD screen as part of its original equipment it may also be used as a backup camera monitor but not without the help of a navigation interface. 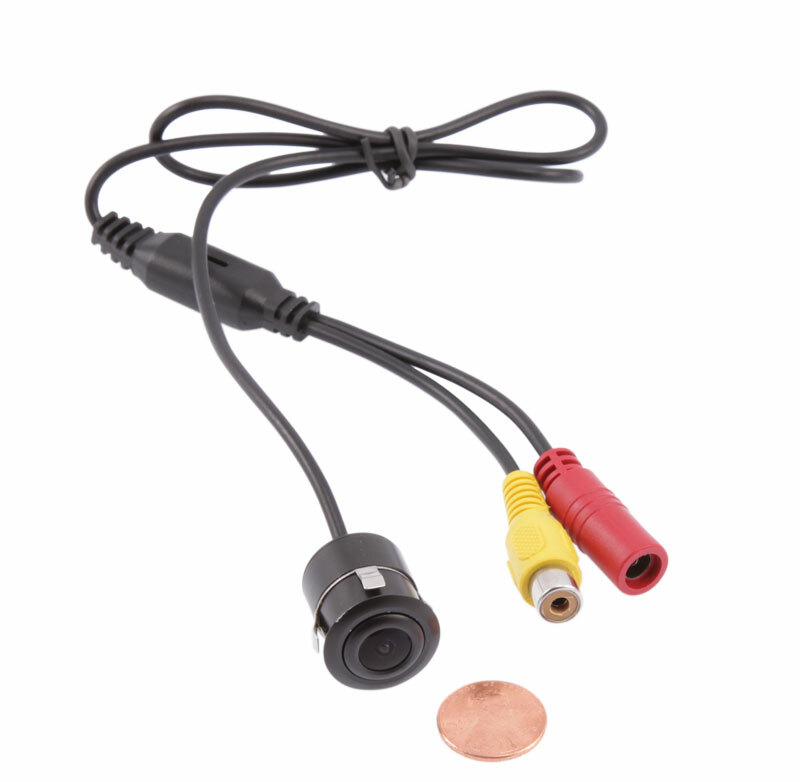 Most of the backup cameras we carry connect using a standard RCA cable, but the problem with most factory LCD screens is they lack the standard RCA input needed to connect that camera. 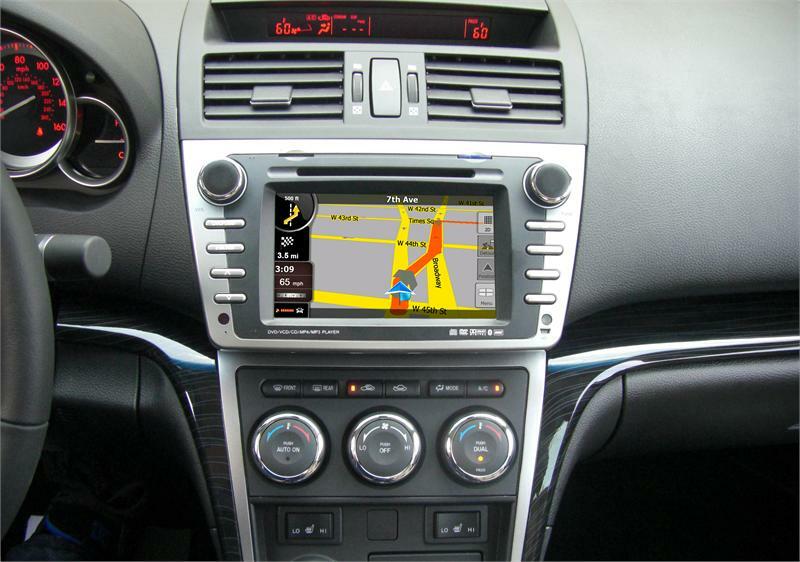 A navigation interface simply allows the factory LCD screen to be equipped with a standard RCA input. Flush Mount Camera: A flush mount backup camera provides a discrete and clean look that is simply hard to match by other backup camera types. The only downside to a flush mount camera is that a hole big enough to house the camera must be drilled directly to the body of the vehicle. License Plate Camera: A license plate type camera is the easiest camera to install as it requires minimal alteration to the vehicles body. It easily mounts the the top or bottom of the license plate and can be mounted on both the front or back of the vehicle. Surface Mount Camera: Usually regarded as the most popular of all backup camera types and revered for their versatility. 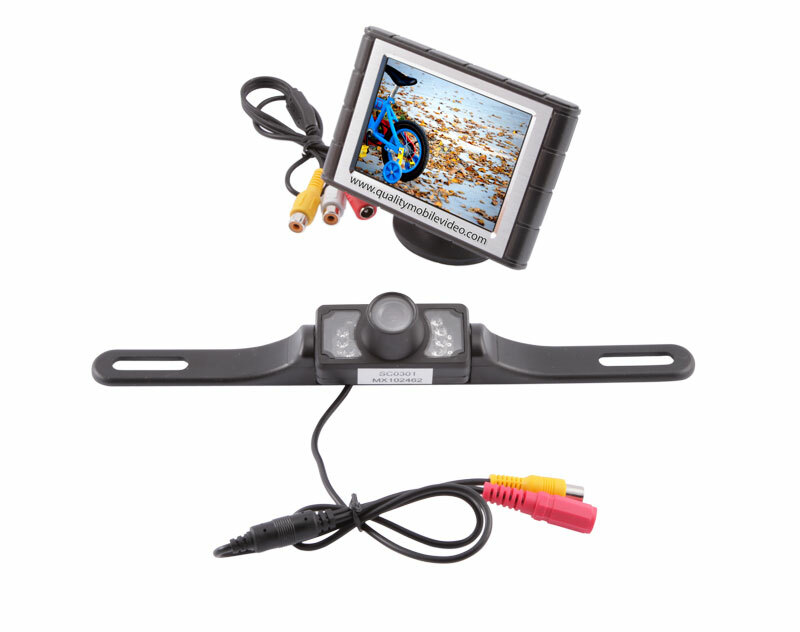 These systems can be mounted nearly anywhere on many types of vehicles and typically come with a mounting bracket that tilts up and down for the perfect view. Viewing Angle: Measured in degrees, with 180 degrees being a panoramic view of your rear, viewing angle determines how much of your rear you can actually view. The higher the number the wider your view. CCD Camera Sensor: A high end camera imaging device that is great at picking up color, light, and contrasts. CCD image sensors typically produce a higher resolution image with excellent light sensitivity for a great picture at night. CMOS Camera Sensor: CMOS image sensors are typically much smaller in size often no larger than your finger tip, however due to their smaller size are limited in their ability to capture light. CMOS cameras typically have Infrared LED’s to illuminate the camera area at night so it is visible on screen. Reverse image/ non reverse image: Reverse image is useful for any rear facing camera as it flips the image on the monitor to make the picture the proper orientation when viewed on screen and in the front of a vehicle. What is on the left side in the rear will show on the left side of the monitor and vise versa. 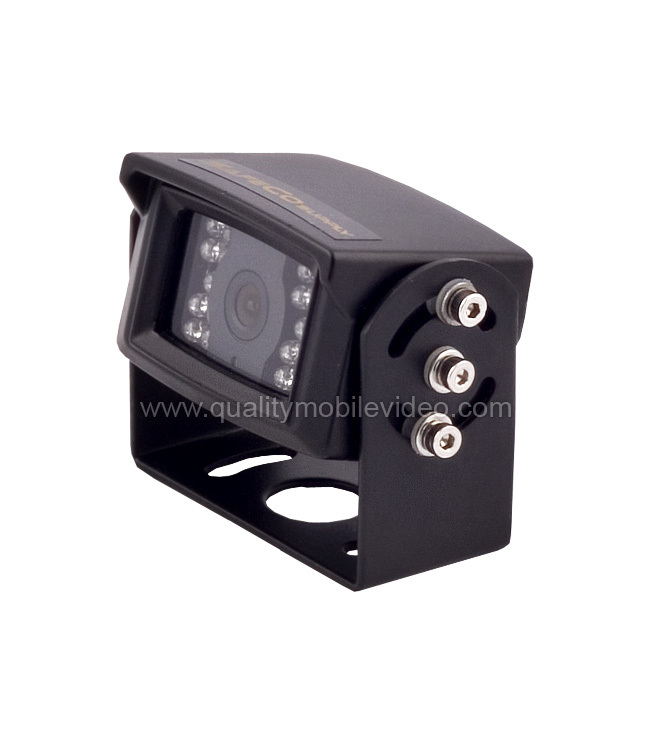 A non reverse image camera is useful for a forward facing camera as it keeps the image in its standard form. Infrared Lighting: These invisible lights illuminate the camera area with infrared light and produce a black and white picture at night or whenever the camera is in a low light situation. Park Assist Lines: These lines appear on the side of the monitor and typically help the driver determine depth with green, yellow and red designated proximity zones.